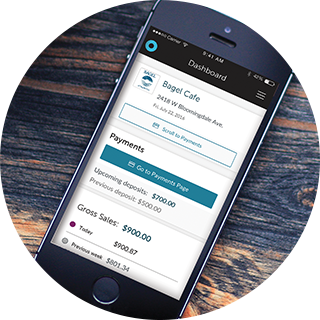 SpotOn is an all-in-one payment processing and customer engagement platform, but it’s not your typical software suite of disjointed apps. Rather, it is a fully integrated system that takes the guesswork out of marketing by connecting customers to their transaction data and marketing campaigns, giving you a definitive ROI for your marketing efforts. With SpotOn’s secure, cloud-based platform, you not only get updates and improvements automatically, you can also access business analytics on your SpotOn dashboard virtually anywhere—from a computer connected to the internet, on the Mobile Dashboard app for your phone, and even on select pieces of SpotOn hardware. With the flexibility to monitor your business and manage marketing efforts wherever you are, you’ll save time and money while connecting with your customers like never before.